After the recent One Piece chapters we discovered that Kokuto (black blade) swords are not made but after time, they eventually become black. It has been theorised that it was the infusion of Armament Haki into the blade after many uses eventually the sword will become a Kokuto. However, in this theory I hope to provide a different perspective. So far, we have only seen two black blades, Yoru and Shusui, yet since all is required to have a black blade is Armament Haki and to be in many battles, why isn’t there more black blades. Every character in One Piece has the potential to use Armament Haki yet a black blade is still rare. 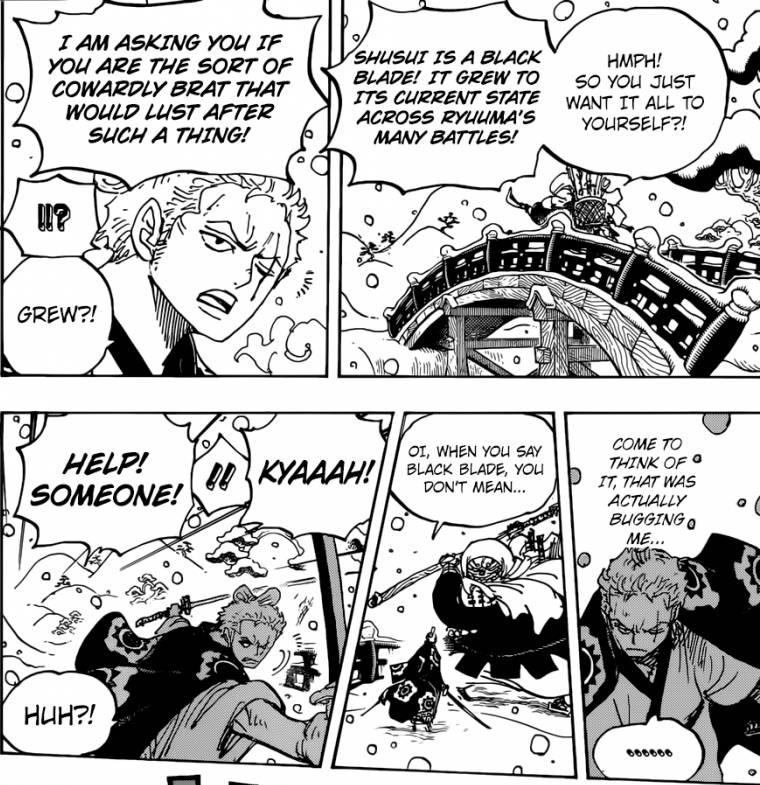 Furthermore, if Armament Haki was all it took for a blade to become black, why was it still a mystery to Zoro. Zoro could have easily assumed that since Armament Haki turns my blade black, “if I do this enough times, my other blades will become black also”. To reinforce this point, in chapter 937 Zoro was still puzzled by it. 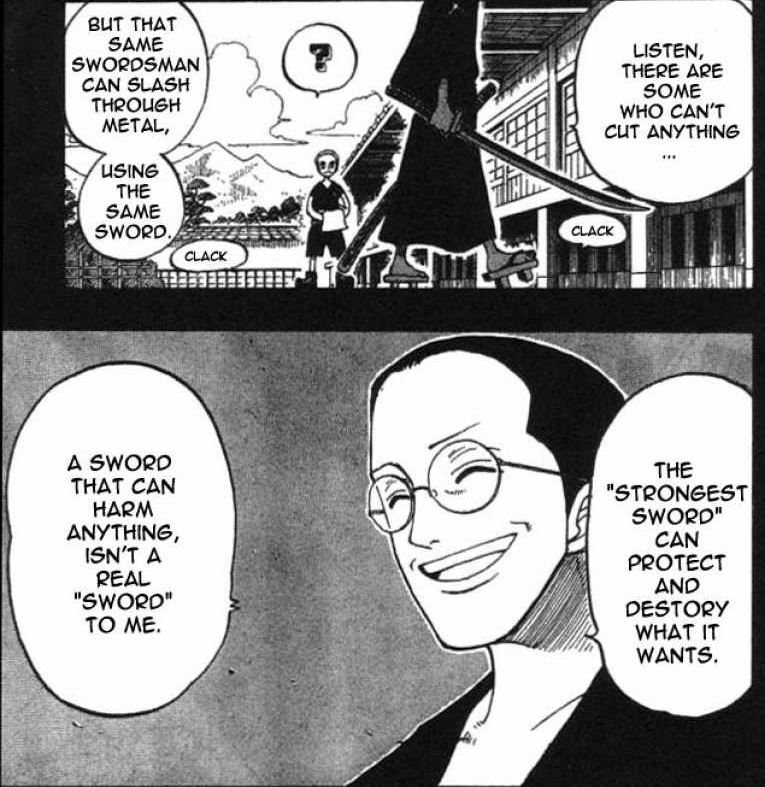 Lastly, from Gyukimaru we know that a black blade is a rarity and prestigious since he emphasised that point. The contrast between the commonality of Armament Haki and the rarity of a black blade, there must be more to the process of acquiring a black blade. 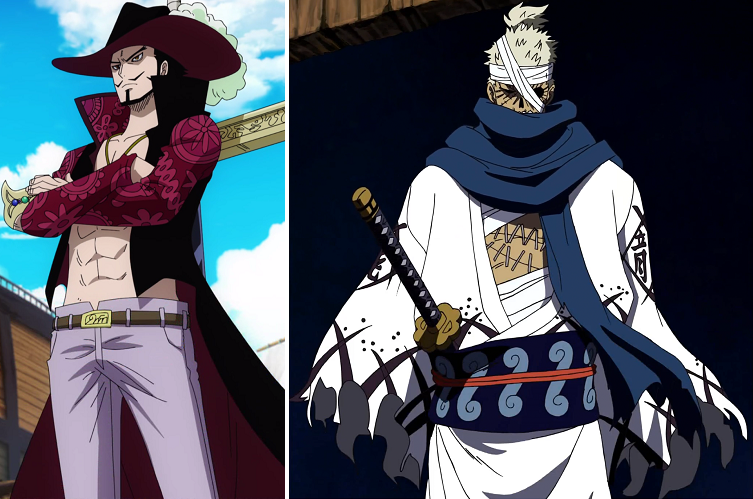 Furthermore, the two black blades were both held by powerful wielders, Yoru is held by Mihawk who is currently the strongest swordsman in the world and Shusui actually became a black blade under the ownership of Ryuma. 1-Swords have their own will. 2-A swordsman must exert their will over their sword. 4-Swordsman therefore must use Conqueror’s Haki to fully exert their will of the sword. 5-Through using Conqueror’s Haki enough, eventually the swordsmen’s will permanently imprints onto the sword rendering the blade black. 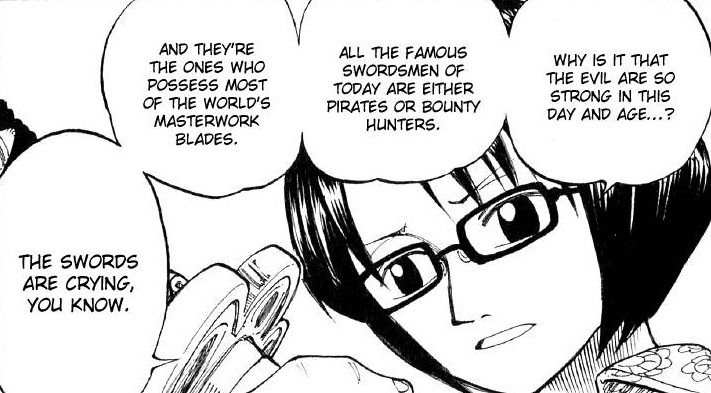 In chapter 97 we learn a great deal about the lore of swords in One Piece but most importantly we learn of them as animated objects. We can deduce this by the shopkeeper saying that “the sword chooses its user” and when Tashigi stating “the swords are crying, you know”. From this we can deduce that not only are swords animated objects but they also have a “will”. The “will” for a sword is further reinforced by the introduction of cursed blades. The shopkeeper states that whoever was wielding a Kitetsu sword, they would be met with a tragic death. 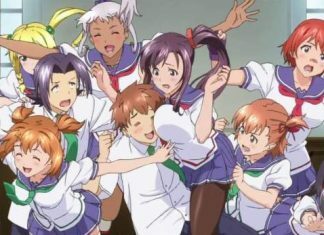 This can be interpreted as the swords wanting the death of their wielder. Moreover, as soon as Zoro unsheathed Sandai Kitetsu, he could tell the sword was cursed, which means that the blade must emit some sort of evil will which Zoro could feel when he unsheathed it. 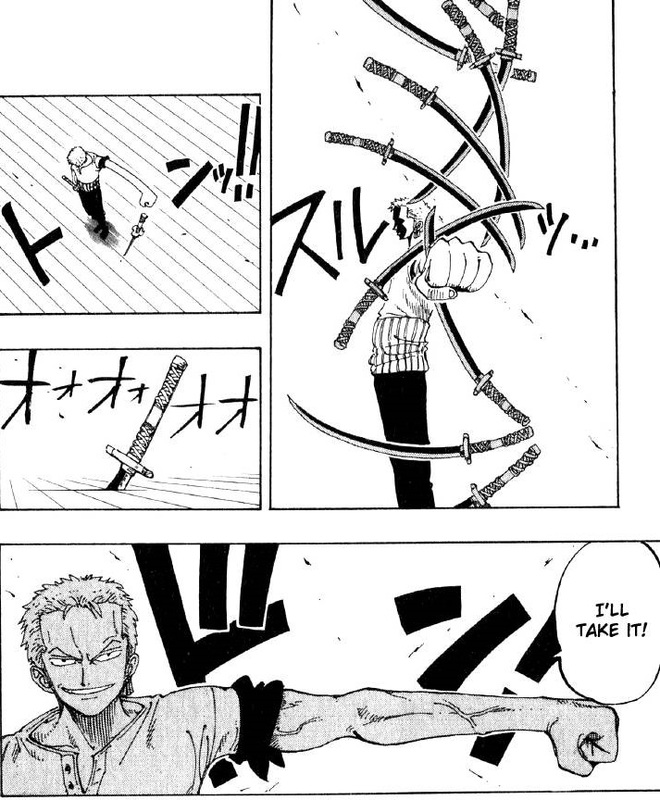 Therefore, Zoro needed to overcome the evil will of the sword in order to safely wield Sandai Kitetsu and demonstrate that his will was stronger. Zoro describes the situation as ‘luck’ however, this is a metaphor for the concept of “will” and the scenario witnessed was a battle of wills. Therefore, not only do swords have a their own will but it is possible for a sword to have an “evil will”. The wielder must overcome this “will” in order to wield the sword. Furthermore, there’s a relationship between the will of the swordsman and the will of the sword. 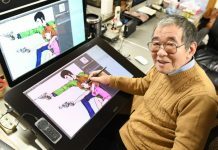 During Zoro’s battle with Mr.1, Master Koushirou explains that a swordsman can cut anything and nothing with that same sword. 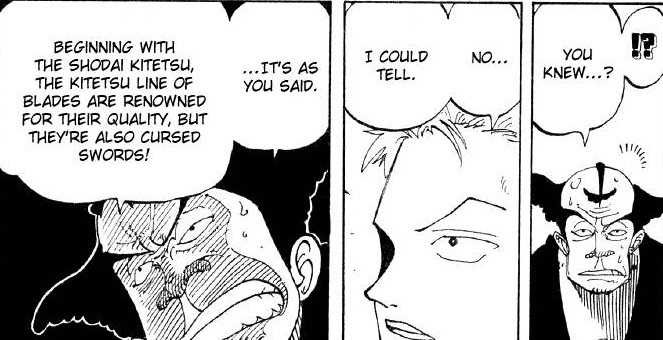 In the next chapter, Zoro still doesn’t understand what Master Kushirou was getting at which results in him disregarding his wisdom proceeding to him losing the battle. 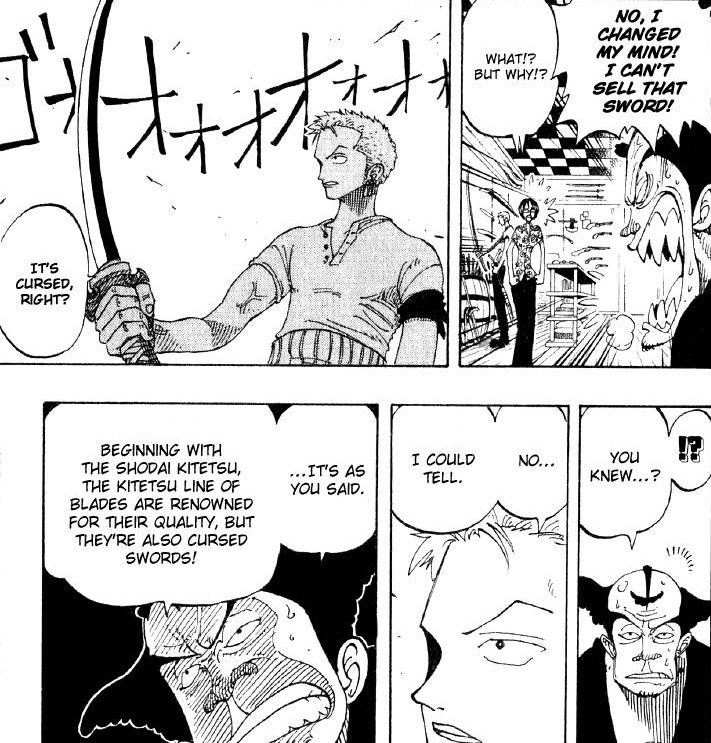 But later in that chapter, there’s another flashback of Master Koushirou stating that there’s “swordsmen who can’t cut through anything”, now Zoro begins to understand. 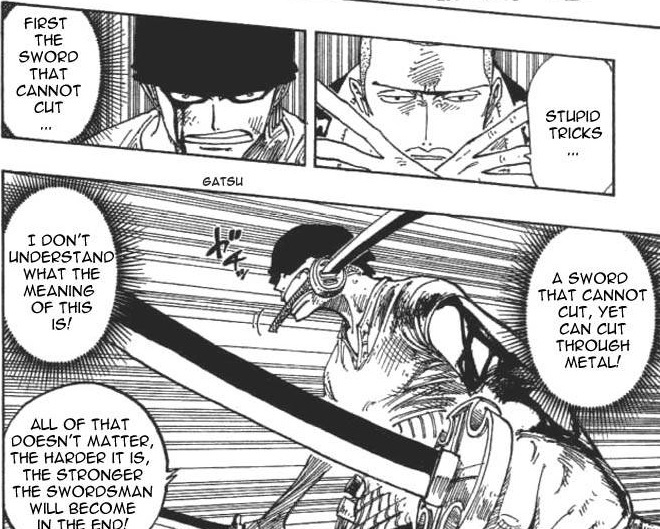 Next Zoro says “ transfer my thoughts through my sword” after which Zoro proceeds to cut Mr.1. 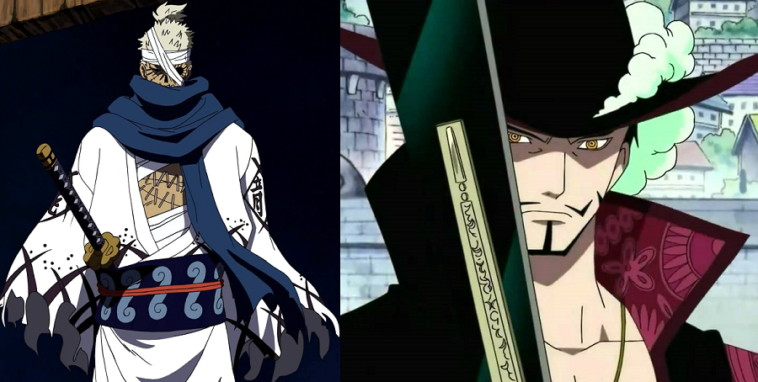 From these two chapters we can deduce that what Master Koushirou was trying to explain to Zoro was the will of a swordsman. The true power of a swordsman is to choose what he wants to cut and what he doesn’t want, once they understand this principle, they are able to cut anything. 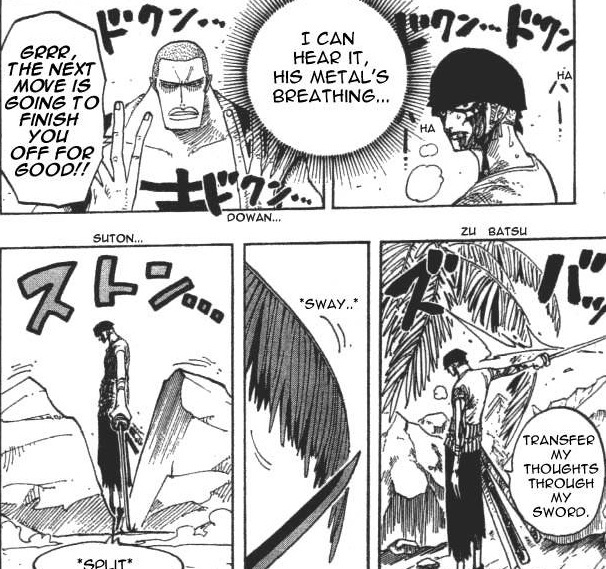 Next, Zoro proceeds to “transfer his thoughts into my sword”, this can be interpreted as Zoro putting his will into the sword. 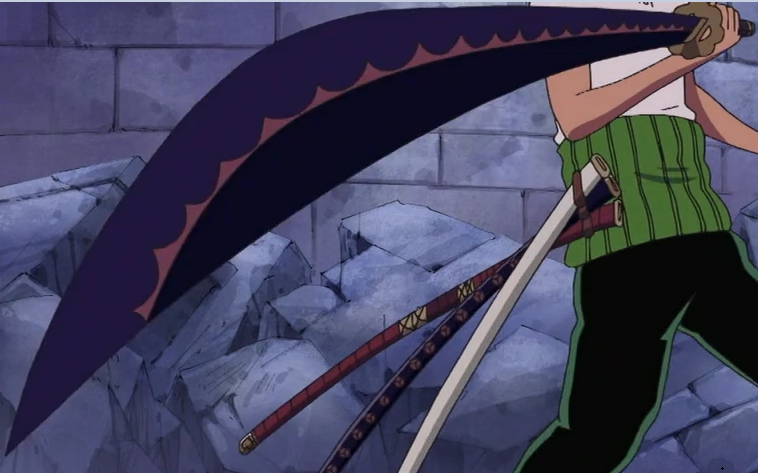 Then Zoro proceeds to choose what to cut and what not to cut, Oda does this to show the audience that Zoro is exercising his will over the sword by choosing when to cut the leaves and when not to cut the leaves. 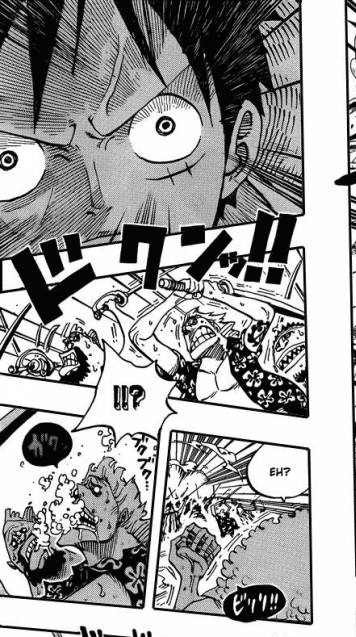 Finally, Zoro cuts down Mr.1 using one sword style which is significant since Zoro uses the same sword that he has transferred his thoughts through further reinforcing the point of having will over the sword. Relating chapters 194 and 195 back to this theory. A swordsman must exert their will over their sword in order to cut want they want and therefore improve as a swordsman. 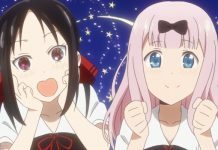 In One Piece, Conqueror’s Haki is displayed differently in different instances. For example when taming an animal only a “look” is required, or at Fishman Island. But in the intense instances of Conqueror’s Haki we see “black lighting” emanate from the user, for example Big Mom, Luffy vs Donflamingo, Luffy vs. Katakuri and Luffy vs. Don Chinjao. 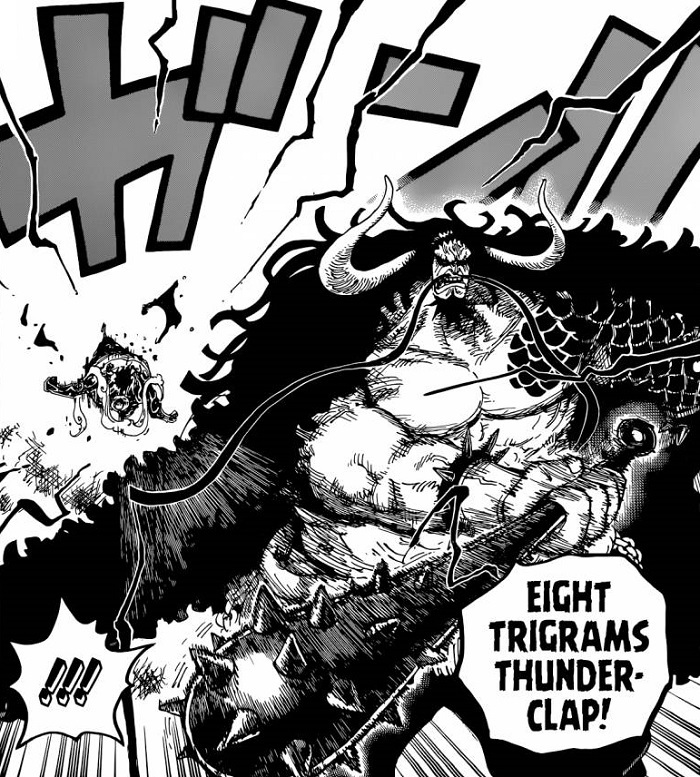 We know that the “black lighting” isn’t just the clash of Armament Haki or Conqueror’s Haki since the “Black lighting” is emitted by Big Mom screaming which neither a clash of AH or CH takes place. 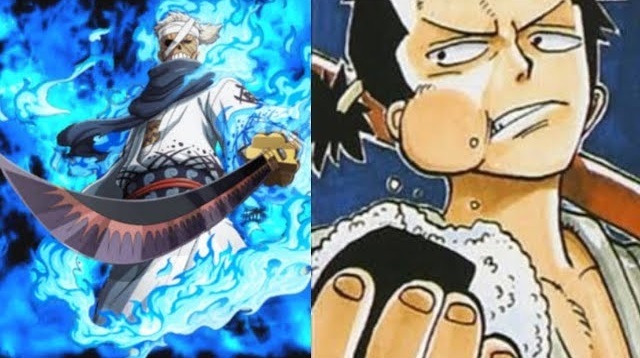 Interestingly, when we see Kaido attack Luffy we see this same “black lighting” incorporated into Kaido’s club, followed by an unconscious Luffy. Therefore it can be concluded that Kaido used Conqueroor’s Haki against Luffy. 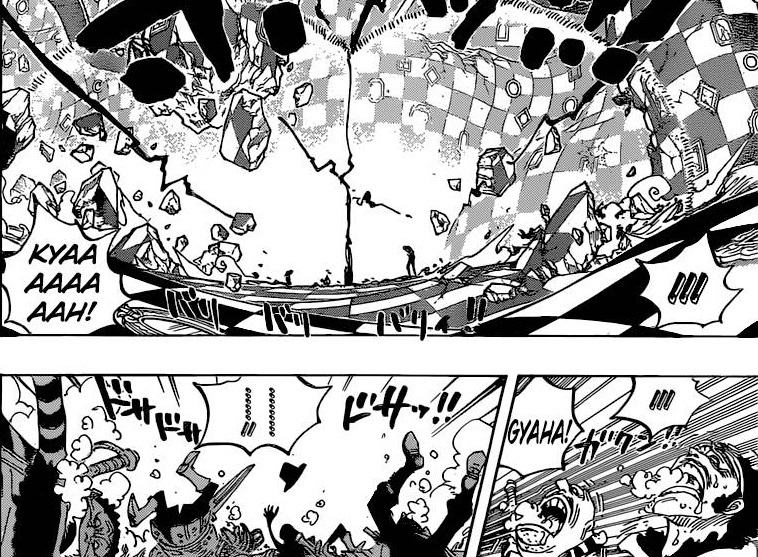 What makes this instance of Conqueror’s Haki so different compared to the other examples is by how controlled it was. In the examples above, we see the surrounding areas become damaged and weak willed people are knock out yet this do not happen when Kaido used it. 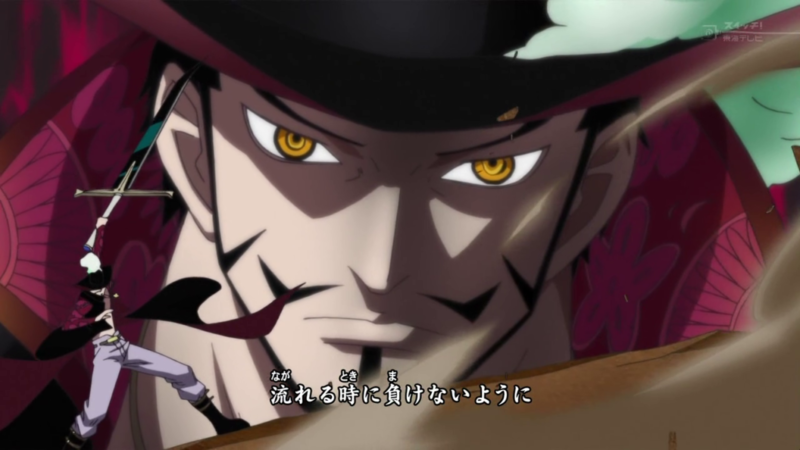 Furthermore, Rayleigh explained that Conqueror’s Haki has to be controlled otherwise it will harm to those around you. Therefore it can be concluded that Kaido can control his Conqueror’s Haki so well that he is able to infuse it within his weapon. 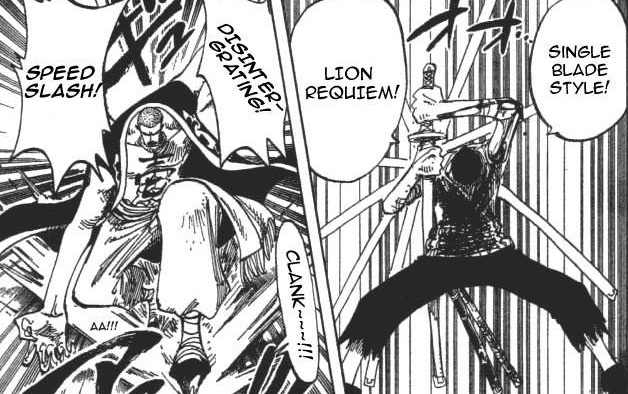 Furthermore, if it is possible to use Conqueror’s Haki within a club it should be possible to infuse Conqueror’s Haki within a sword. 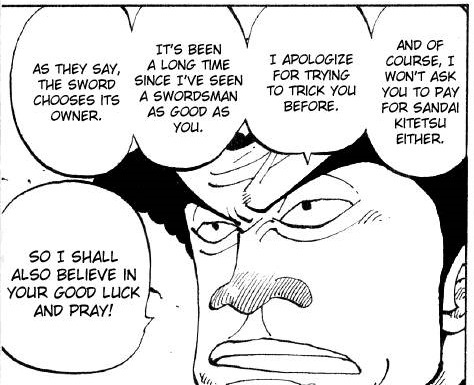 Relating this back to the theory, if Conqueror’s Haki is exerting your will over others and if it is possible to use Conqueror’s Haki onto a sword, then a swordsman with Conqueror’s Haki can exert their will onto their sword. A swordsman with Conqueror’s Haki doing this repeatedly with their sword, the swordsman able to cut more things that they will. Lastly from Chapter 937 we can gather that Ryuma was the lead protector of Wano from pirates and nobles. Ryuma stopped nobles. In One Piece a common theme is that if the nobles want something, they will get it. And the nobles wanted Wano. 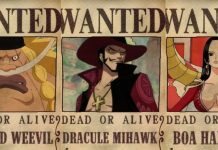 Of course the nobles wouldn’t of sent themselves but the strongest of what the marines or world government had to offer in order to control Wano for themselves. This means that Ryuma had to of defeated some of the strongest marines/government agents in order to defend Wano. And although those battles happened centuries ago, Wano has been left by the World Government ever since. Clearly, Ryuma’s will to protect Wano was stronger the nobles desire to control Wano. 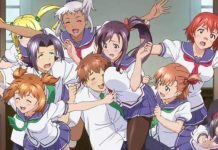 Therefore, it is plausible to assume that Ryuma is not only just a strong willed character but a great swordsman. If Conqueror’s Haki is required for a weapon to become black and Shusui became black when owned by Ryuma, then Ryuma must have Conqueror’s Haki, therefore is there any evidence to back this up? Ryuma, is definitely strong willed since he managed to protect Wano from the World Government. Moreover, Ryuma was highly revered, so much so that the people of Wano gave him the title Sword God. Conqueor’s Haki is said that whoever possesses this type of Haki has the qualities of a king and the literal meaning of Conqueror’s Haki (Haōshoku no Haki) is Supreme ruler. From what Oda has shown the audience about Ryuma, it is very plausible that Ryuma had Conqueror’s Haki since he was revered as a godly figure and a strong willed protector of Wano. As a result, Shusui became black under the ownership of Ryuma as Ryuma had Conqueror’s Haki which enabled them to use Conqueror’s Haki onto Shusui which helped Ryuma defeat his opponents and keep Wano protected. 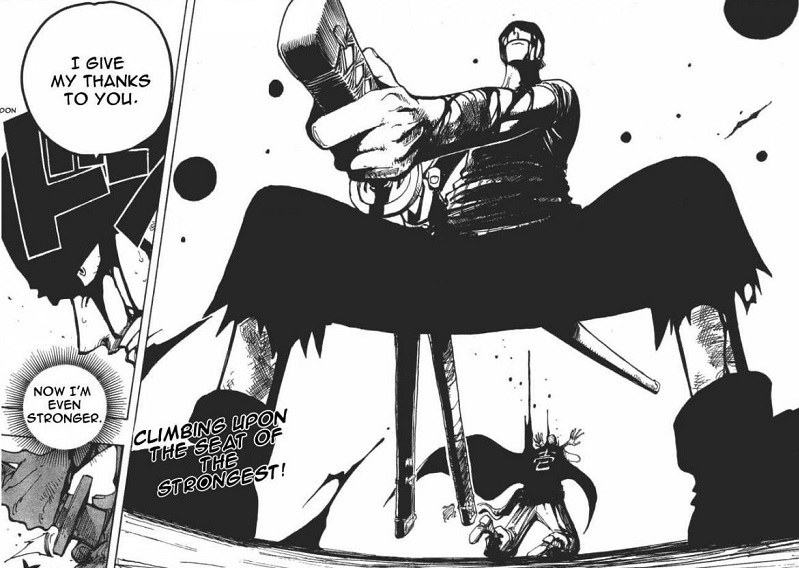 A blade becomes permanently black due to the swordsman’s successive use of Conqueror’s Haki onto the sword. We have seen that a swordsman exerting their will over their sword is essential to becoming a skilled swordsman. Conqueror’s Haki enables a user to exert their will over others. 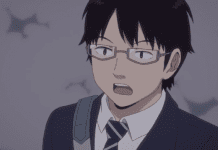 Furthermore, Conqueror’s Haki is a rare and powerful quality which is possessed by some of the most significant characters in the One Piece world. 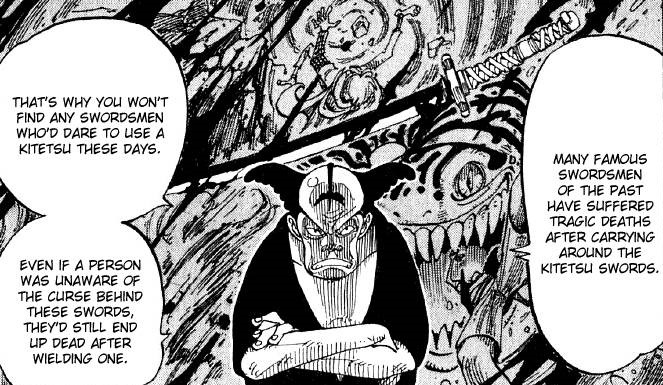 The combination of Conqueror’s Haki and swordsmanship hasn’t been explicitly stated within One Piece yet, but the rarity of a black blade and the significance of the wielders may suggest that it isn’t a mere coincidence. Previous articleKATAKURI vs BLACKBEARD PIRATES! Full length hand drawn chapter!